This refreshing, vibrant vegetable is composed of a spear and a tip, and comes in either a green or white form. Both types of asparagus can be enjoyed cooked or shaved into thin strips when raw for use in salads. 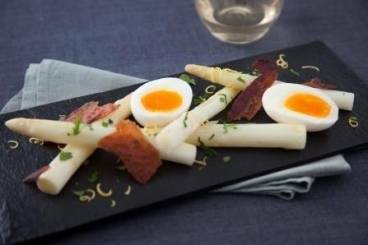 A tasty, seasonal dish of perfectly cooked asparagus served with a homemade hollandaise sauce and slices of crisp pancetta. 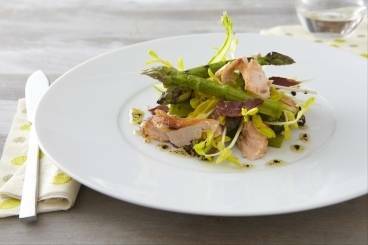 A delicious seasonal recipe of asparagus, poached leeks, soft boiled hens egg and crisp fragrant sage leaves finished with a drizzle of walnut oil. 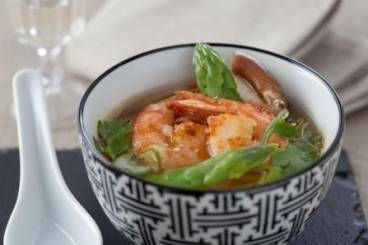 An Asian inspired soup with shiitake mushrooms, asparagus, beansprouts and ginger topped with garlic tiger prawns and lime and coriander. 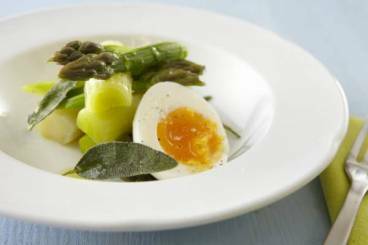 A soft boiled egg served with a salad of green asparagus and baby spinach cooked with garlic, thyme and bay. 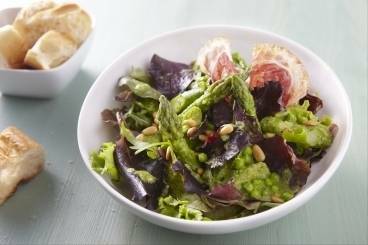 The dish is finished with a dressing of pine nuts, cured ham, olives and basil. 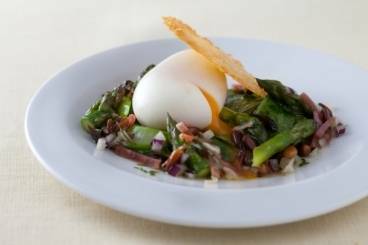 Asparagus and poached eggs served on a bed of crushed potatoes with spring onion and pancetta finished with a lemon butter sauce. Fresh, crisp asparagus spears served with a classical hollandaise butter sauce. Perfectly cooked asparagus wrapped in goat's cheese, cured ham and brick pastry - a delicious and impressive starter.